Canon Pixma Scanner on Mac with MP Navigator EX- For the beginners, maybe it is confusing how to use Canon Pixma scanner on Mac. Actually, it is easy enough to scan documents or photograph that you want. The explanation below will be useful to start scanning with Pixma on your Mac. Read and practice the following instruction! Before Pixma is connected to your Mac, make sure that it has been powered on without any alerts that is displayed in its control panel. When it uses wireless network, make sure that it has an access point. The access point has to be functioned fully or configured to use the same local network as your Mac. Please select ‘Apple’, then ‘System Preferences’, choose ‘view’, then ‘Print & Scan’. The next thing to do is select the printer type on plus [+] icon below the printers pane. After the scanner is connected, it is ready to scan. But before using Canon Pixma Scanner on Mac, the proper software must be installed, for example MP Navigator EX. Instal the MP Navigator EX software which is located on the disc of the scanner. Get the software on internet (Canon website) if you don’t have the disc. Select ‘Start’, ‘Programs’, ‘Canon Utilities, MP Navigator EX, MP Navigator EX. Select Photo or Documents. Put the document or photo tht will be scanned on the platten. Then set the preferences as what you need. After ready to scan, please select the scan button. The scanning will be started. After the scanning is finished, save the document or photo. Select save to save in JPEG format and save as PDF in PDF format. 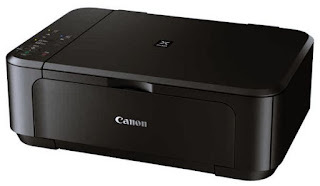 Those are the steps how to use Canon Pixma scanner on Mac you can follow. If the scanning is unable. Check your scanner power. Turn off the scanner then turn on again. Or if this can heal the problem, learn more about trouble shooting.